You know those evolutionary progression pictures, the ones that show our early predecessors on all fours, then a few knuckle-dragging creatures, finally culminating it an upright, modern human being? So, the evolution of the aerial lift is a little less Darwin, and a little more design innovation. This entry was posted in Aerial Lift Certification, Uncategorized and tagged aerial lift, aerial lift certification on August 26, 2015 by admin. As of last week, the US Department of Labor announced they’re looking for applications for their Susan Harwood Grants. These grants will give money to workers onsite to assist in identifying and hazards in the workplace. Programs that receive this grant money will also assist employees in understanding their safety rights within the workplace. For aerial and scissor lift operators, receiving the support from safety training programs that this grant funds is fantastic. So many employers create a cape of fear over their employees. Many aerial lift operators feel as if they’ll lose their jobs if they report a safety problem to OSHA, even after being ignored by a foreman or company offices. Because the economy is so bad, employers like to make their workers feel as if getting a new job will be difficult, so all employees should be “loyal” at all times. Loyal doesn’t have to mean you give up your sense of caution. The Susan Harwood grants ensure that small businesses and corporations in remote areas can give their employees the safety programs they deserve. Companies who have a hard time affording more in-depth safety training programs for employees can give aerial and scissor lift operators another level of training. Fall protection and proper safety equipment don’t do a lot of good for employees without the accompanying training. Grant programs that help small businesses give employees the proper training are an asset to the aerial lift certification community. Training saves lives – and fortunately we’re not the only ones who think it’s time that smaller companies get the help they need to make sure all employees get properly trained. The injuries that can occur on aerial and scissor lifts are no joke. Aerial and scissor lift training ensures that employees are protected across the board – and there’s just no substitute for safety. This entry was posted in Aerial Lift Training and tagged aerial lift certification, arerial lift training, OSHA aerial lift certification and training on April 11, 2012 by admin. Aerial lift safety is changing forever with the introduction of the SkySiren. This little device has won awards, and could change the way people view safety in the aerial lift industry. How Does the SkySiren Work? 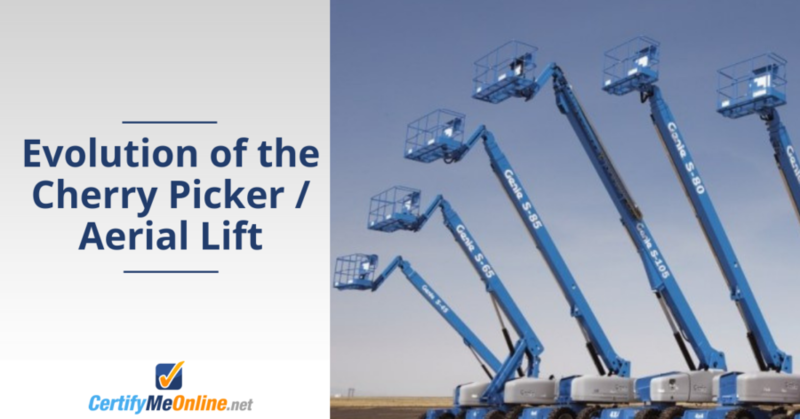 The SkySiren works with most aerial lifts in the United States and the UK. It’s a small device that is placed between the aerial lift operator and the lift itself. The SkySiren measures pressure output, and will send out an alarm/stop the aerial lift if the pressure sensor detects the employee might be in some type of crushing danger. The device can be easily restarted once it goes off. The device launched in November 2011, and many companies are catching on to its effectiveness in preventing accidents and saving lives. Anti-entrapment has become a huge issue in the aerial and scissor lift world, with eight accounted deaths and numerous injuries happening on the job between 2003 and 2009. There’s so much more we can always be doing to make sure our employees are protected, and an industry-accepted warning system like the SkySiren will ensure workers return home to their families after a hard day’s work. How Can Aerial Lift Workers Stay Protected? Will the aerial lift industry accept a broad solution that protects workers from harm and death? The answer is yes. So much more can be done to protect employees, and technology Is the answer. 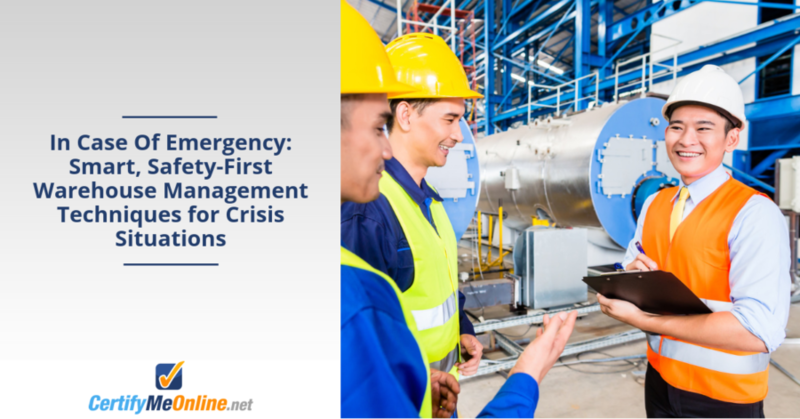 We shouldn’t just stop at entrapment-sensing devices – fall protection and other safety measures are just as important, and digital technology consistently offers new solutions. Aerial and scissor lift certification are the first step to ensuring employees are safe. OSHA mandates aerial lift certification for a reason – even the most advanced safety equipment isn’t going to protect an employee who doesn’t know how to keep him or herself safe on the lift. Staying protected is the name of the game – and the first step to aerial lift protection is the proper training. This entry was posted in Aerial Lift Certification and tagged aerial lift, aerial lift certification, arerial lift training, OSHA aerial lift certification and training on April 3, 2012 by admin.